Recently, some products are returned for not satisfying quality standards by some foreign partners in company’s export procedure (flexible printed circuit, metal detectors...). 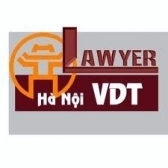 For the reason that domestic enterprises do not have enough conditions to investigate, above two companies suggest to make temporary export procedure of goods for enterprises in foreign countries having enough functions and conditions to investigate quality and then re-import these goods into Vietnam and export to customers. To customs management, enterprises can make customs procedure directly in customs agencies for the temporary export and re-import abroad for investigating quality and then re-import into Vietnam. The management shall be implemented in accordance with the principal: temporary imported goods must be initial re-exported goods. + Goods for display at trade fairs or exhibitions”, without temporary export goods to test quality.